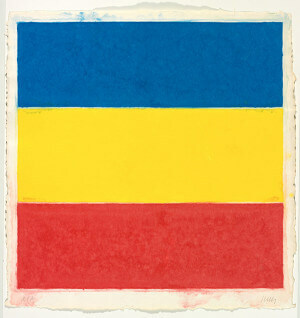 Ellsworth Kelly, an American post-war artist, was a highly influential pioneer in the world of modern art. 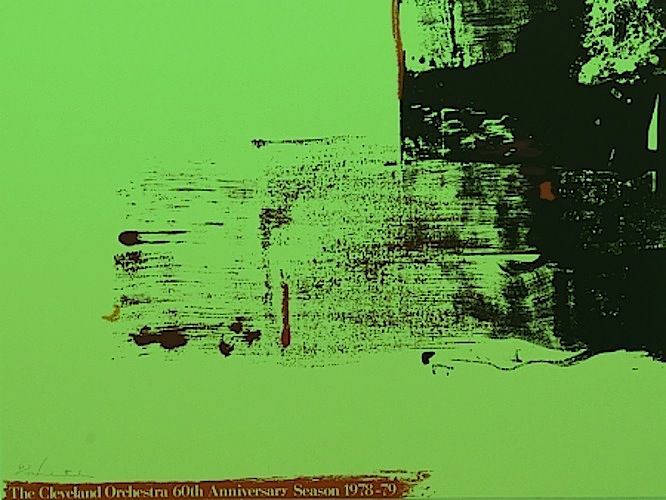 Recognized by art enthusiasts and professionals the world over as one of the greatest artists of the twentieth century and a leader in minimalist art, his work has greatly influenced various post-war movements like hard-edge painting, color field and pop art. Kelly, was born May 31, 1923 in Newburgh, New York to parents Allan Howe Kelly and Florence Bithens Kelly. Kelly’s father was an executive at an insurance company while his mother had previously been a teacher. Both Kelly’s parents were rather set traditionalists, uncertain of Kelly’s aspirations to become an artist. However, one of Kelly’s teachers encouraged him to pursue a career in the arts, and Kelly’s parents agreed to send him to Brooklyn for technical training, where he attended Pratt Institute from 1941 until 1943. On New Year’s day, 1943, Kelly was inducted to the U.S army to serve during World War II. He worked with a camouflage unit called The Ghost Army during the war and, together with various artists and designers, created inflatable tanks and trucks to mislead enemy troops. Kelly served in various European countries at the time and spent time in France, England and Germany. After completing his military service, Kelly used the Serviceman’s Readjustment Act of 1944 (also known as the G.I Bill) to further his studies. He enrolled at the School of the Museum of Fine Arts in Boston, where he studied from 1946 until 1947. After this, Kelly went back to France to go study in Paris at École nationale supérieure des Beaux-Arts. While there, he didn’t attend class very frequently, but the artist used his time in Paris to learn more about especially French art. He gained exposure to the work of various pioneers, such as Monet and Matisse, which left a lasting impression on his work. After six years in Paris, Kelly returned to America. Back home, he faced a challenge in poor critical reception of his work, with critics often branding his paintings as being too different, deviating from ideas that were popular in American art at that time. Ironically, this is what later became the very thing that distinguished him and led to his success. Throughout the span of his career, Kelly was commissioned to do various public commissions. Among others, some of the most well-known works he did include a mural for the UNESCO headquarters in Paris; the Houston Triptych, which is located at the Museum of Fine Arts in Houston, Texas; a sculpture for the Neslé headquarters in Vevey, Switzerland and a memorial for the United States Holocaust Museum, located in Washington D.C. In 1951, during Kelly’s time in France, he had his first solo exhibition at the Galerie Arnaud in Paris. After returning to America, the first solo exhibition of Kelly’s work in back in his homeland was held in 1956 at the Betty Parson’s Gallery. But Kelly’s work wasn’t going to simply pass unnoticed, and in 1959 his work was featured in the exhibition, Sixteen Americans, by the Museum of Modern Art. Since that time, his had various retrospective exhibitions worldwide at many prestigious venues, such as the Museum of Modern art and the Solomon R. Guggenheim Museum. Kelly has noted that he often spent time in nature as a little boy, and that a book he got as a gift from his grandmother about birds had a lasting impact on his perception of color. The artist also mentioned a deep love he had for drawing things, noting that all of his works started from drawings. Many of Kelly’s first paintings, created during his years in Paris, were done in a style the artist later referred to as “Picasso-type paintings”. But he soon realised that he needed to do something new, and a desire for more innovative art work led him to develop his own, unique style. He started to notice things, such as the shape of a window while he was at a show, and decided to paint things inspired by the shapes of everyday objects. It was Kelly’s approach to these ordinary things that made his work so exceptional. Often, the actual object in the painting would be so hidden, the sense of mystery surrounding his work would intrigue viewers and pull them in. 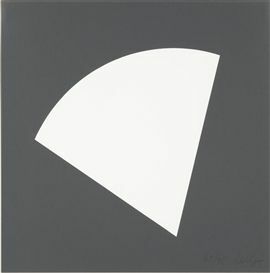 An example of this, is Kelly’s 1950 work, La Combe I, which he made after noticing the way shadows fell on a staircase. During the 1960s, Kelly also started to explore printmaking, and he created various lithographs such as Suite of Plant Lithographs in those years. These early experimentations with shape continued to be a reoccurring theme throughout all of Kelly’s work, but he later started making use of more color, evident in many of his later works. 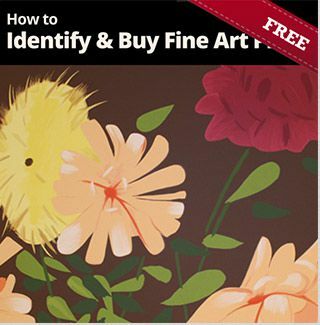 But painting and printmaking weren’t the only fields of art he explored. Kelly’s talents spanned across all relevant fields of art, and many of his famous works also include sculptures. Perhaps the most notable thing about the artist, was his desire to do what had never been done before and the pure innovation he proved to possess, often working in a style that didn’t seem to be influenced by any major figure in art. 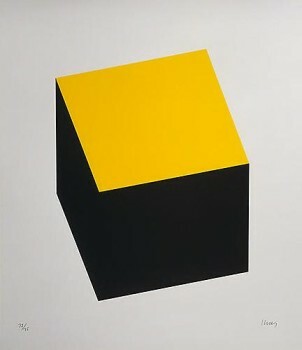 As one of the most influential artists of the twentieth century, and having enjoyed a lifelong career that spanned over seven decades, Kelly will be remembered for the independence he showed in developing a unique style and for what he brought to the minimalist movement in terms of shape, color and the perception of these elements in abstract art. In 2012, he was awarded with a National Medal of the Arts, which was presented to him by President Barack Obama. The award served as a well-deserved recognition to Kelly for all his contributions to American art and his development of modern art worldwide. Spectrum VI is the highest selling work at auction to date. It sold for $5.2 million in 2007. Ellsworth Kelly and River II, 2002-5. Lithograph on Rives BFK 300-gram white paper mounted on two aluminum panels, 80 x 109 inches. Edition of 9. © Ellsworth Kelly and Gemini G.E.L., Los Angeles. Collection of Jordan D. Schnitzer. 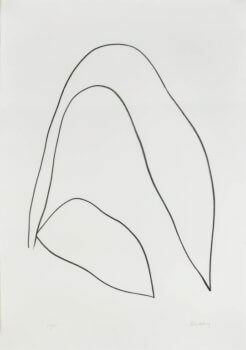 Copyright et Credit photo: ©Ellsworth Kelly. Photo SFMOMA / Ben Blackwell. 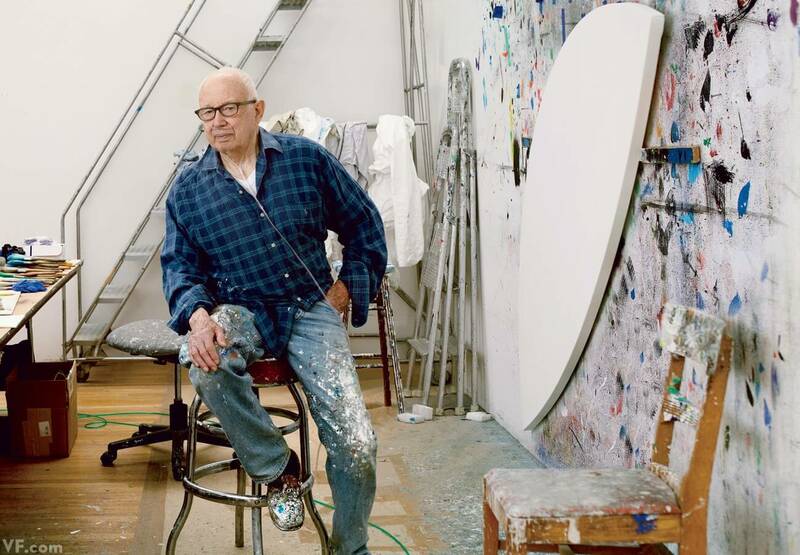 It took the New York art world a while to understand and embrace the simple and elegant style that Ellsworth Kelly had cultivated during his six years in Paris in the 1950s. 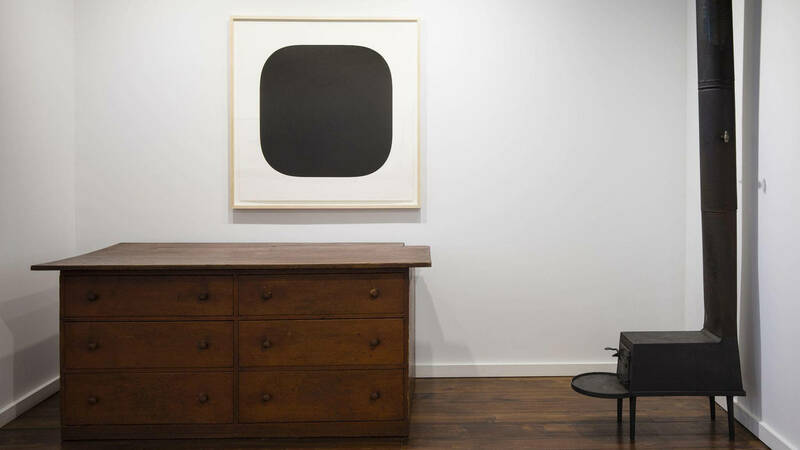 Ellsworth Kelly and his husband, photographer Jack Shear, began collecting Shaker furniture in 1970. Like his paintings, prints and sculptures, Kelly realized that the Shaker furniture was, “simple and well-structured and in the same categories that I like to make paintings.” The couple furnished their home in Columbia County, New York with Shaker furniture and objects. When Kelly died in 2015, the furniture was donated to the Shaker Museum in Mount Lebanon, New York.